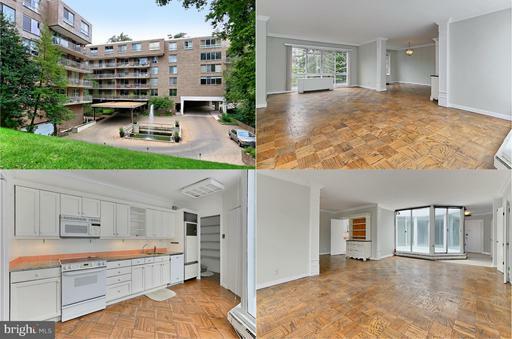 Amazing light filled 1 bedroom + den, 2 bath penthouse with garage parking in secure building backing to parkland with loads of amenities! Great open floor plan has 1590 sq. ft, and unique private atrium right off the kitchen and living room that is perfect for enjoying outdoor dining and summer sunbathing~~your own private oasis! Hardwoods, fresh designer paint, crisp white moldings lots of windows! New tile in foyer, built-ins, large living room dining room, updated kitchen w/granite! Custom walk in closet! Fee includes all utilities, 24 hour desk, indoor pool and more! 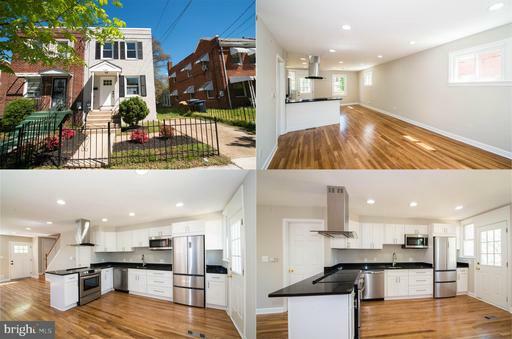 Absolutely gorgeous and completely renovated top to bottom 3 finished level TH on quiet street inFort DuPont Park! Everything has been done, warm hardwood flooring on all 3 levels, fresh designer paint, recessed lighting, all new fixtures, doors, windows, renovated kitchen and baths, large new deck more! Enter into the light-filled living room with rich hardwood floors and recessed lighting ushering you into the remodeled kitchen with pristine white cabinetry, gleaming granite countertops and quality stainless steel appliances including range hood and glass top range. A glass-paned door leads to a large and brand new deck overlooking the rear yard, perfect for entertaining! Ascend the stairs to find 3 bright and cheerful bedrooms sharing the beautifully remodeled bath with designer vanity and lighting and sparkling tiled shower/tub combo! The finished lower level has a daylight family room, den/4th bedroom, and an additional stunning and well-appointed full bath! Lovely landscaped yard with a charming wrought iron fence, sidewalk and front porch! Concrete driveway for private parking plus plenty of unrestricted parking adds convenience!